The newest edition to the crew are our exclusive MATCHING HUMAN toucan tee's! Grab a can or two and dress up yo human in our toucan tee's. Perfect for a BBQ day out. Grab a matching dawg tee! Please note they are a slim fit design. Please read the chart in the images to help determine the size you'll need. 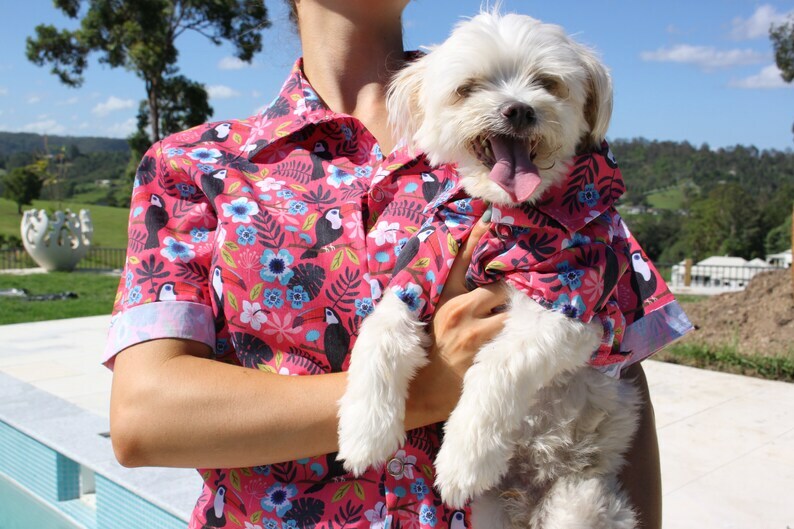 I bought this shirt and matching dog shirt for my sister and her pooch. Can't wait to see them going for a walk looking great together. A great product! I love matching my dogs! The shirts arrived quickly and are super cute.